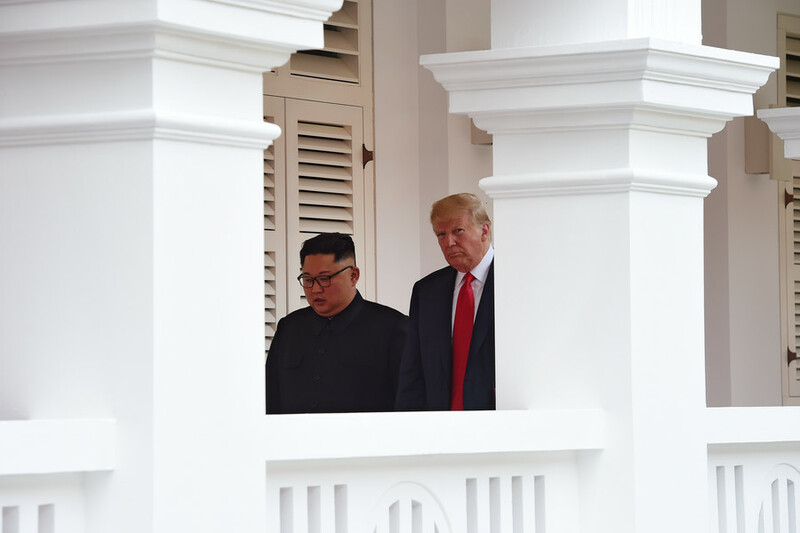 The Singapore nuclear summit between US President Donald Trump and Korean leader Kim Jong-un was both a wild success and abject failure — depending on who you ask. Watching events unfold on Twitter and in the mainstream media, it almost looked like two different summits were taking place at the same time; one where Trump was impressing the world with his diplomatic prowess and unique ability to bring about peace in our time — and another where he was outmanoeuvred and outsmarted by a "dictator" who had played him for a fool. Unsurprisingly, opinion seemed to split according to whether the observer was a liberal or conservative, a Trump supporter or a Trump critic — and social media was ablaze with competing commentary on the day’s proceedings. Liberals, who were once known to love all things diplomacy when Trump’s predecessor Barack Obama was in office and meeting with the likes of Raul Castro, all of a sudden soured on the concept of bilateral talks with adversaries when it was Trump doing the talking. Similarly, liberals who in another life might be fans of the US showing some decorum and respect to other countries, were suddenly playing the part of neoconservatives fantastically well, expressing their disgust that Trump had agreed to meet Kim and complaining that the US had given North Korea what it wanted by making it seem like an “equal” to the US. To them, Trump and the media had unforgivably “legitimized” and “normalized” North Korea on the world stage. Wrong, Mr. President. It is not an honor to shake a murderous dictator's hand. It's an honor to sake the hands of people like Trudeau and Macron (even though it looks like it hurt you a bit). Trump has photographed publicly shaking Kim Jong-Un’s hand, fulfilling Kim’s dreams, normalizing a dictator, and disgracing the Presidency. But Trump disgraces someone almost every day. Trump has now legitimized a brutal dictator just for a photo op. To be fair, some conservatives weren’t too happy about North Korea being seemingly treated as an equal, either. Former Republican Congressman Joe Walsh in particular was upset that the leader of the US, the “most benevolent nation on earth”, had deigned to sit at the same table as the North Korean leader. Others, somewhat inexplicably decided to make it about Russia, suggesting that there would be evil laughter emanating from the walls of the Kremlin in Moscow as Trump and Kim met — and some were upset that the whole thing was just a big “win” for Vladimir Putin and China. 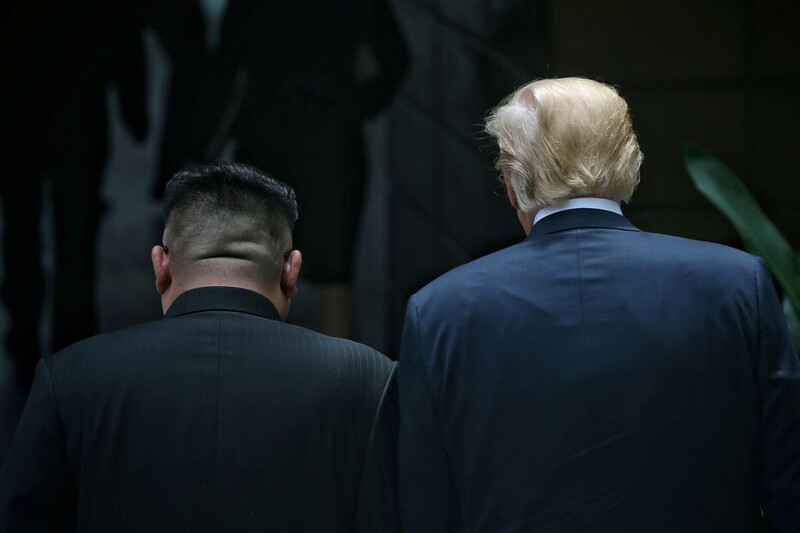 Trump’s liberal critics were also unhappy about the appearance that the US would be making any kind of concessions toward North Korea or that there might possibly be some give-and-take in diplomacy, which is strange, given that diplomacy is supposed to be about compromise. When Trump admitted US war games off the coast of the Korean peninsula were in fact “provocative” and unnecessary, liberal Twitter was aghast, wailing about how Trump had fallen victim to North Korean propaganda narratives. Holy crap. 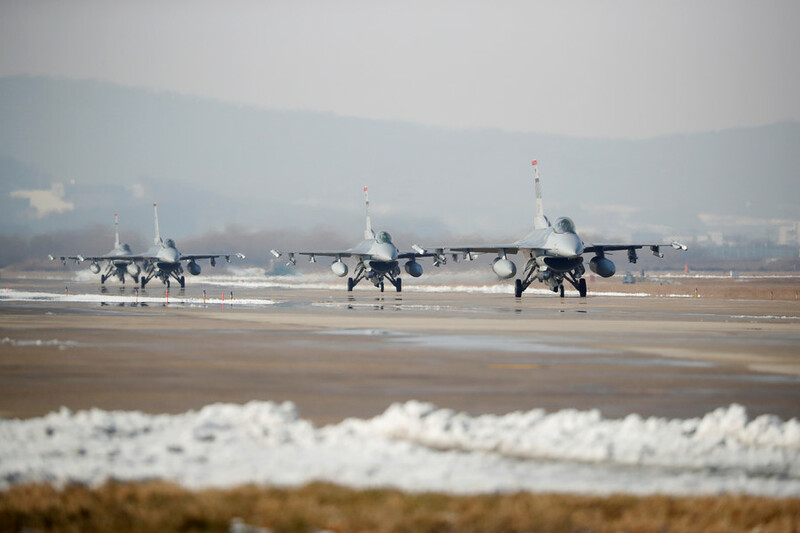 Trump called a halt to US exercises with ROK, but he called them expensive "war games" that are "very provocative." Drawing from and legitimizing the DPRK's propagandistic language. Trump also labeled the war games "provocative." US has always held that the exercises are necessary for defense. It's North Korea & China that view them as provocations. Trump just admitted to a YUGE concession, he will be stopping U.S.-South Korea military exercises. “We will be stopping the war games... I think it’s very provocative.” Wow. Trump used the NK propaganda line calling a military exercise with a close ally “provocative” & praised Kim, a man who currently has 200k+ people in Nazi-like prison camps. North Korea got the president on video saying things it'll use for years to come. We got… “wait and see"
It wasn’t just liberals showing off their hypocrisy, though. Conservatives were at it, too. 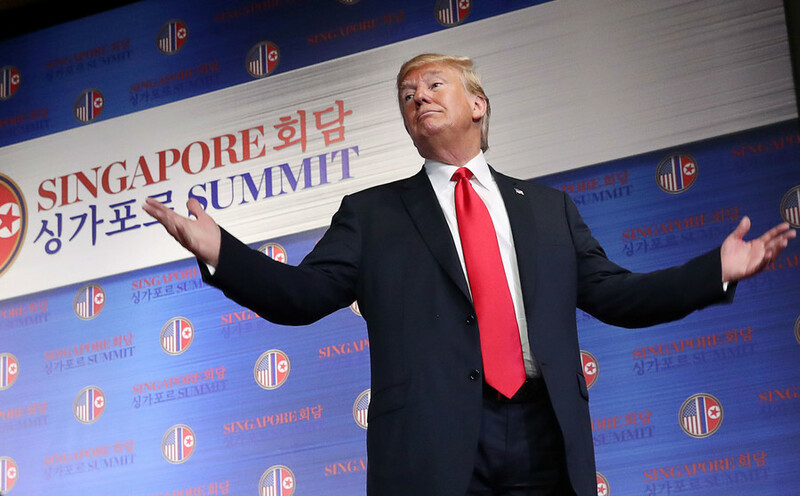 Republicans, who lambasted Obama for the mere suggestion that he would meet Kim, were falling over themselves to praise Trump, utterly enamored with the festivities in Singapore. In fact, there’s a video floating around reminding people just how Fox News covered Obama’s comments about being willing to meet America’s enemies — and it wasn’t kind. While Obama was slated for “bowing and scraping” before dictators, Trump had pulled off a “stunning diplomatic triumph” by agreeing to the same. Conservative writer Erick Erickson admitted in an op-ed that Republicans would have been calling for Obama’s impeachment had he taken part in such a summit. The outcome of the summit was also markedly different depending on who was reacting. While conservatives saw a master negotiator and dealmaker (i.e. 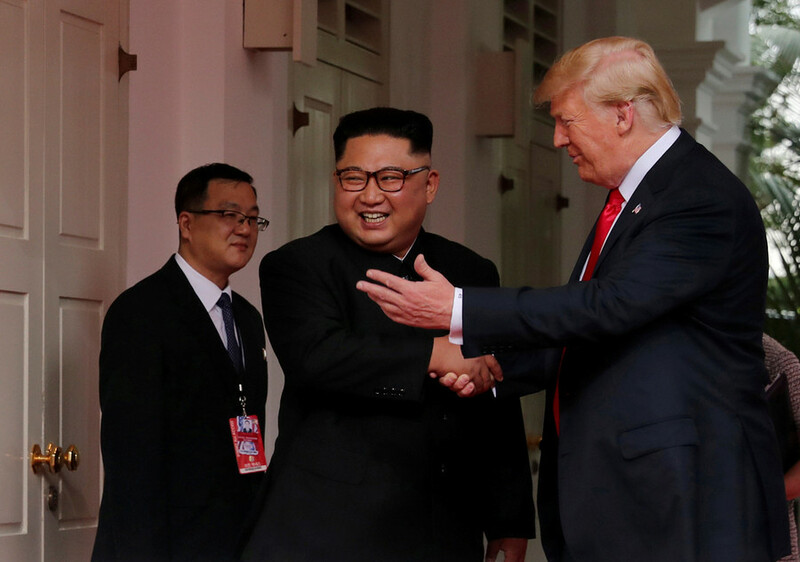 Trump) single-handedly managing to denuclearize North Korea in one day without making any concessions, liberals saw a big nothing-burger that was little more than a photo-op for both leaders. 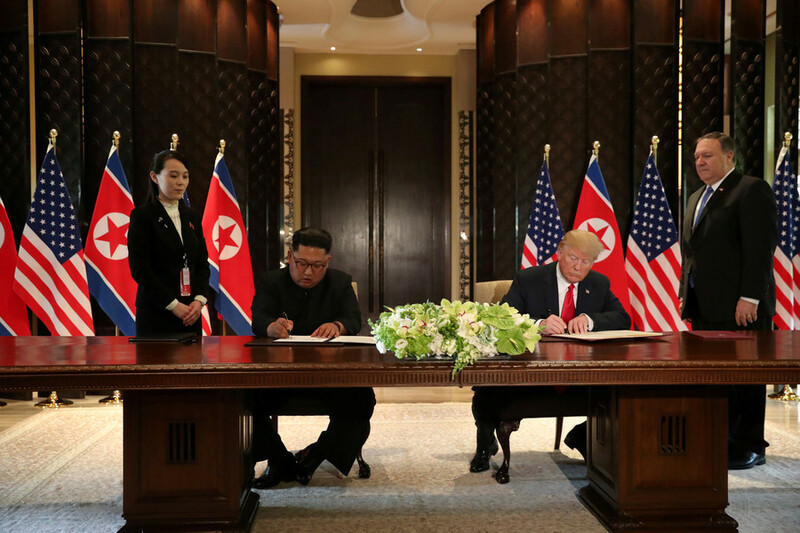 The best part of America's complete denuclearization deal with North Korea is that President Trump DIDN'T GIVE UP ANYTHING! The whole Kim summit was BS. What a complete and miserable failure. Makes America look weak and terrible, especially after Trump’s temper tantrums at the G-7. He now has a closer relationship with Putin & Kim, than he does with any of our allies. Which is absolutely pathetic. Politics are so unfair. If it had been Obama who reached the nothing-burger of the Singapore Summit, every conservative pundit and politician in America would be damning him for appeasement. Watching mainstream media itself was a similar experience to watching Twitter. Switching between CNN, MSNBC and Fox News was like switching between alternate universes. But it was CNN that really jumped the shark when an analyst argued — sincerely — that Trump’s team had “legitimized” Kim by releasing the details of the lunch menu earlier than usual. 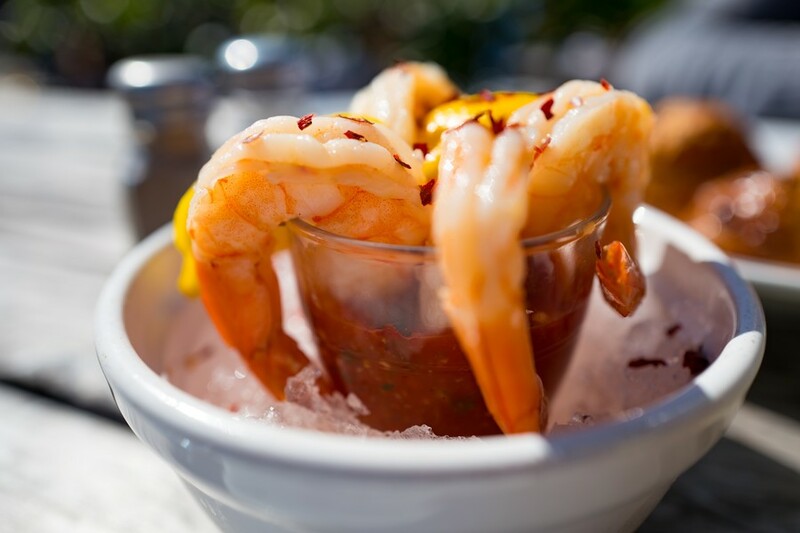 It’s a freakin lunch menu! This is why CNN is Fake News!